© 2019 S.J.Clear and Co Ltd, All rights reserved. We can offer delivery many of our items FREE of charge to the local area, Generally up to a radius of 15 miles, But can be reviewed on an individual basis. Charges apply for setting up and demonstration of equipment, Wall bracket installation and Aerial / Satellite installation. Aerial / Satellite quotes are free, Though sometimes we can sort out your issue whilst we are there, in this case a service charge may apply. We are a well established family firm in Dorking, Surrey since 1927 with a wealth of experience in television and satellite products and installations Whether you require additional aerial or satellite points, repairs to an existing system or a complete new installation we are happy to undertake any job big or small. We have our own fully trained engineers with the knowledge and experience to diagnose, recommend and install a suitable system for all domestic reception needs. Our engineers are well versed in local reception issues and are happy to give honest advice as to the best solution. 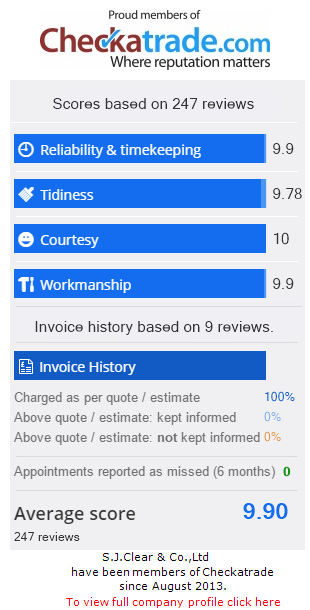 We off a free of charge estimate with our local area (please call for details) and with our dedicated team of engineers we can usually visit within 2-3 working days, if not sooner. All our work carries a 1 year guarantee and we are proud of our level of customer satisfaction and competitive pricing over many years. We can supply and fit satellite dishes suitable for SKY and Freesat reception. Whether you require a single feed to one room or a multi-room installation, we advise and agree on a suitable and discreet location for the dish before quoting, and install and demonstrate any satellite equipment that is required. 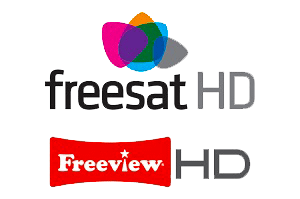 We can also supply Freesat, Freesat HD and FreesatHD+ receivers from several manufacturers to meet your requirements. If you require an extension or additional TV or satellite point in a bedroom, kitchen, study or other room we can advise on the best solution and run additional cables as discreetly as possible. We can supply various multi-room distribution systems so you can receive terrestrial and satellite TV in as many rooms as you require. If your aerial or satellite system is not performing correctly our dedicated service engineers will be able to diagnose, test and recommend a suitable repair. We do not simply quote for a whole new system if we do not deem in necessary. If a satisfactory repair can be undertaken we will always suggest this to keep unnecessary costs down. Our engineers are not on any commission to sell you new products that are not required. Our only concern is to complete the job in a safe and reliable manner to your upmost satisfaction. If you would like to book an engineer please Contact us and our experienced sales and support staff we will be happy to discuss your requirements.